Everyone needs a list of go-to, no-fuss bakes. For those occasions when cake is necessary (when is it not?) but you don't have the time or inclination to slave over the next GBBO showstopper. Moist, simple, a crowd-pleaser. I've tried heaps of different recipes, but always find myself going back to my original. I've no idea where I got this recipe from so can't credit, I've been using it for years! Mix together the flour and bicarb of soda, before adding the butter and mixing until you have breadcrumbs. Add the sugar. Mash the bananas in a separate bowl then whisk in the eggs, milk and vanilla extract. Fold into the flour mixture and pour into a lined loaf tin. Bake for approx 45 minutes on 180c (or 160c fan), or until golden. The riper your bananas, the better. If they're still a bit green, pop them in the oven on a medium heat for 20 minutes - they'll go a shiny black colour, don't panic! Leave to cool before mashing. Use a tin liner. No-one has time to cut parchment to size. I buy these which are a complete lifesaver. Add chunks of chocolate for banana bread with a twist! Add them at the last stage before baking for a slightly indulgent loaf. Chopped walnuts are also a great addition. 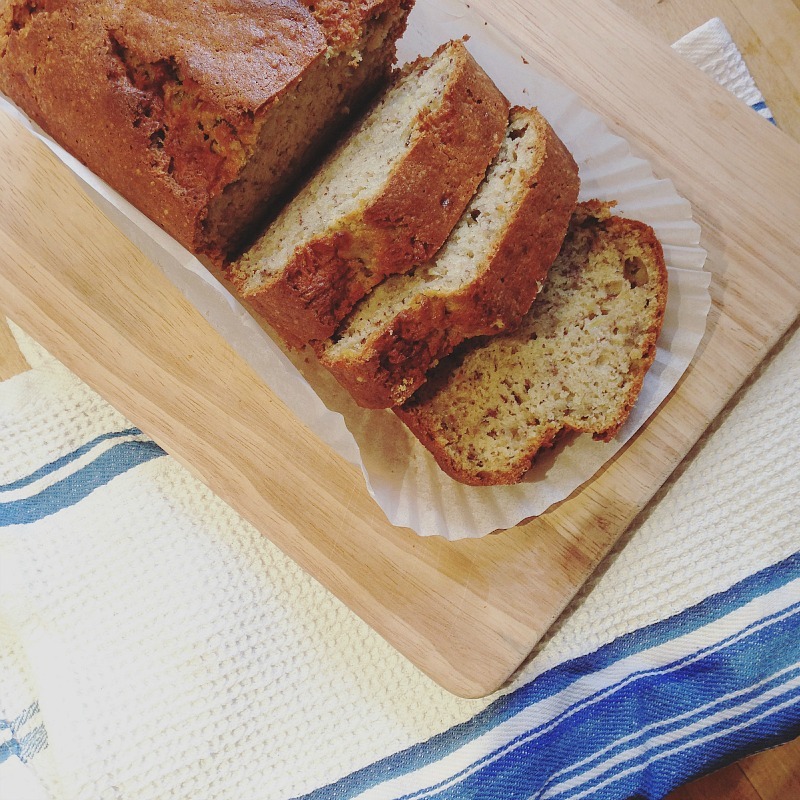 It looks delicious - I love Banana Bread so much!